Euro is still consolidating. Yesterday’s attempt to start a new ascending movement failed. The target remains the same; it is still the area, where there are three fibo levels at the same time. The pair may break the minimum during the next several hours. A local correction stopped at the level of 78.6% as the pair rebounded from it. Now the bears have to break the level of 1.2915. According to the analysis of temporary fibo-zones, the may reach it during Friday. Franc is still being corrected; it is supported by the level of 161.8%. Later, the market may start a new ascending movement towards the target area. 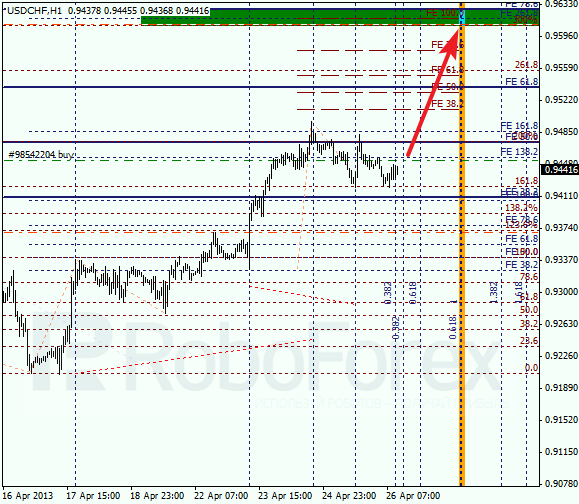 Take Profit on my buy order is placed at the level of 0.9610. 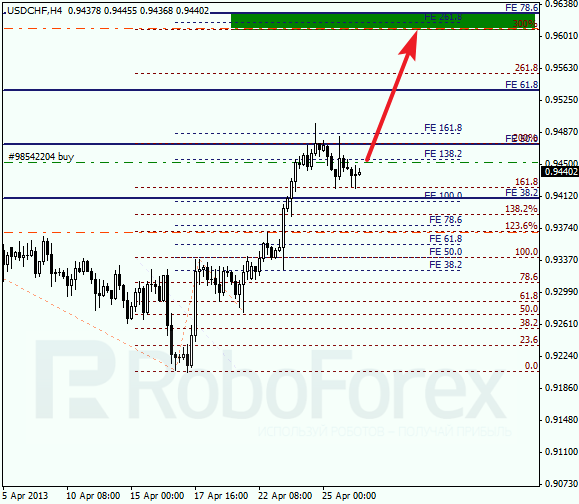 At the H1 chart, we can see that there are four fibo-levels in the target area at the same time, which makes it even more important. According to the analysis of temporary fibo-zones, the predicted levels may be reached in the nearest possible future.